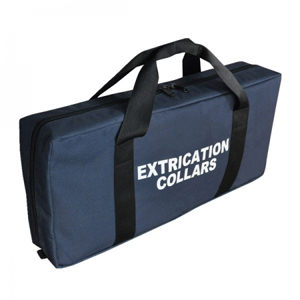 Extrication Collar Bag has zipper pockets on both ends and is printed with "Extrication Collars" in white ink. The internal divider gives the bag the organization and durability needed for storing collars. Manufactured with heavy duty water retardant fabric suitable for the harshest environments. 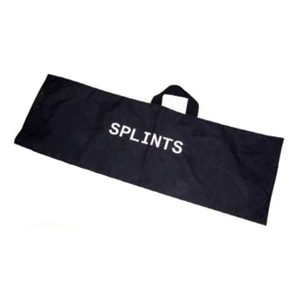 Splint Carry Bag has zipper pockets on both ends and is printed with "Splints" in white ink. Manufactured with heavy duty water retardant fabric suitable for the harshest environments. 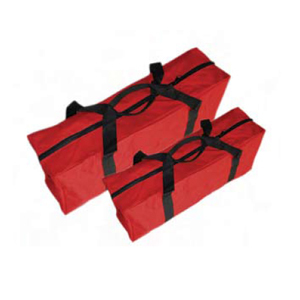 Contain your collars, splints and blankets all in one area with one of these Gear Bags. Bags have a full length zipper and two handles. Manufactured with heavy duty water retardant fabric suitable for the harshest environments.